SMS Sneak Peek #2 - Big Things Come in Small Packages! 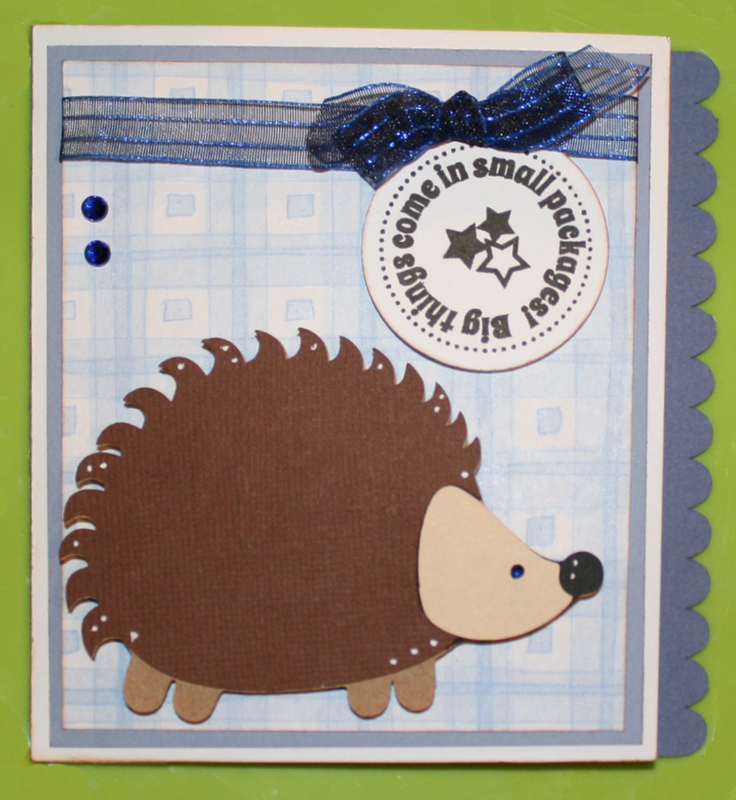 I used the cute little hedgehog from B is for Boy and a pre-designed card base from Birthday Bash. I did cut the right side about .25 so that the scalloped border showed when closed. I then layered white (exactly the same size as the front of the card base) light blue and patterned paper. I punched my circle with a Fiskars 1.5" circle punch and stamped it with a sentiment from our new Dancing in Circles 2 set. 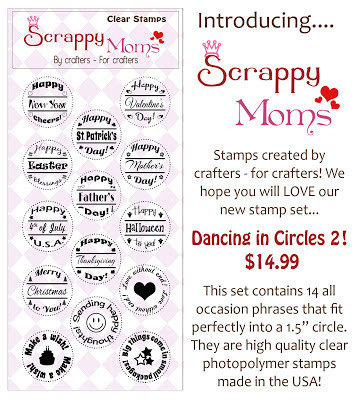 Two new Scrappy Moms Stamps Sets - Dancing in Circles 2 & Fun Celebrations! Here are photos of both new sets that are in stock and ready to ship! I will have more project from both of these sets all week; as will our fabulous Design Team - including February Guest Designer, Candace from Scrappin' 3 Little Princesses! I hope you all have a wonderful weekend - hope you stop by again soon! 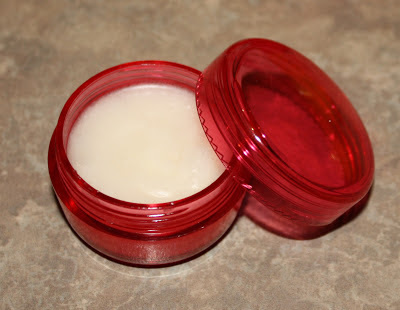 I made these little kits for my sister-in-laws and friends - they are made for soft, kissable lips just in time for Valentines Day (I gave them out last week). The kit includes a jar of homemade lip scrub, lip balm (my favorite - Blistex Medicated; it's a perfect combo of Soft Lips lip balm and Chapstick), and Lifesavers mints﻿. I made the lip balm using only 3 ingredients - coconut oil, sugar and vanilla extract. 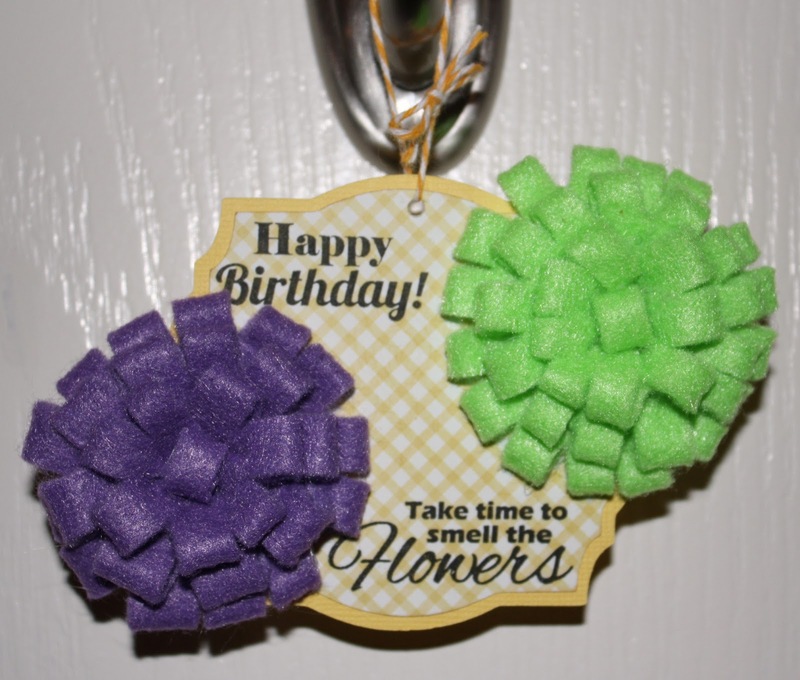 For the little tags I used a 1.5 circle punch and the co-ordinating 2" scalloped circle punch. 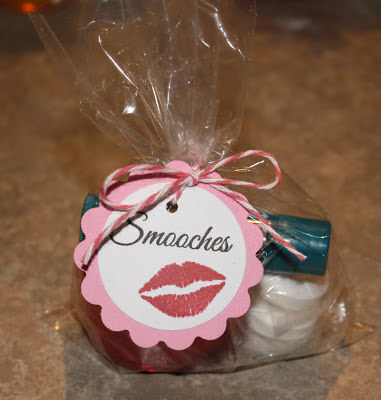 I stamped the front of the tag with "Smooches" and the lip image from SMS With All My Heart stamp set. 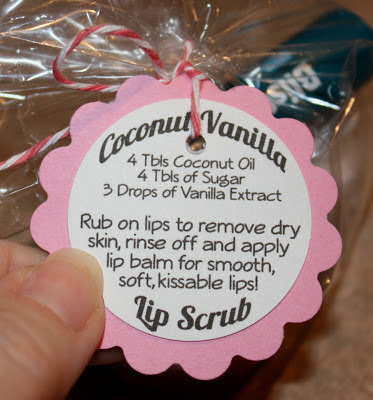 I printed up the recipe for the lip scrub on the white cardstock before I punched the circles so that the recipients could make more if they liked it. 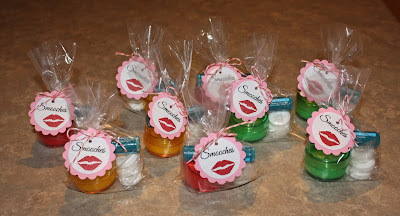 Then I tied the tag onto the tiny bags with my new FAVORITE color twine - Strawberry! 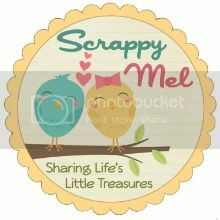 I hope you enjoyed my project today and that you will come join us and link up your twine project for a chance to win a Scrappy Moms Stamps stamp set of your choice! Have a wonderful week! 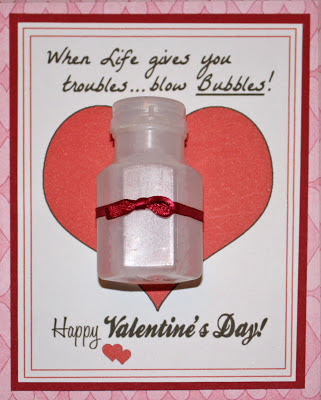 Terrific Tuesday Challenge - Valentine's Day! Happy Tuesday! 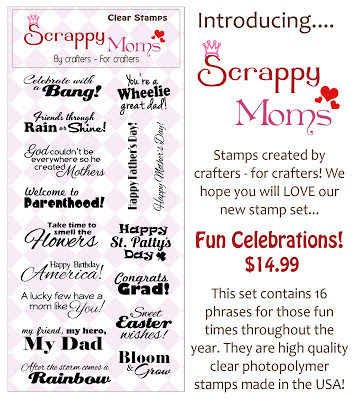 For our Scrappy Moms Stamps Terrific Tuesday Challenge this week we are having a Valentine's Day theme. Here is my project.. I am making these for my girls classes for Valentine's Day - I figured they would get enough candy that day. LOL I will have my girls sign their name next to the double hearts at the bottom. 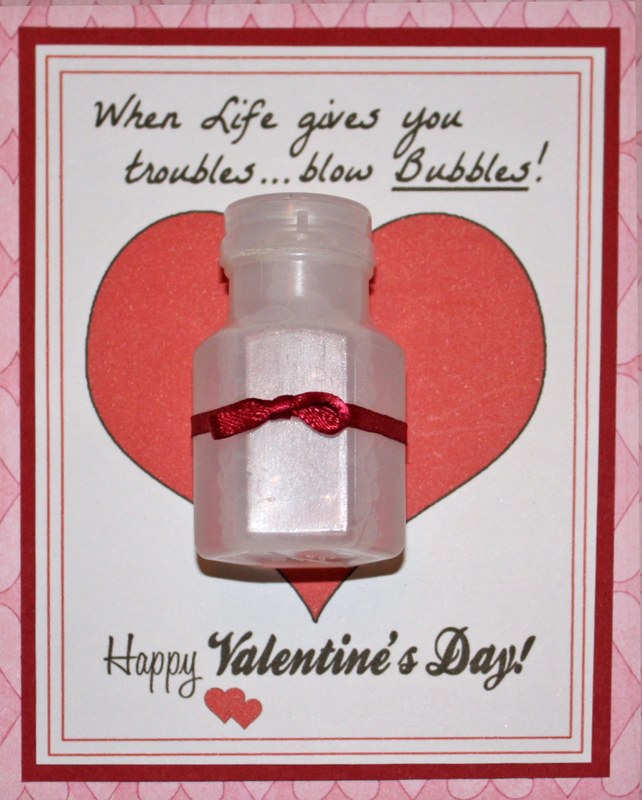 I printed the hearts and lines on a square of white card stock then I stamped "When life gives you troubles... blow Bubbles!" 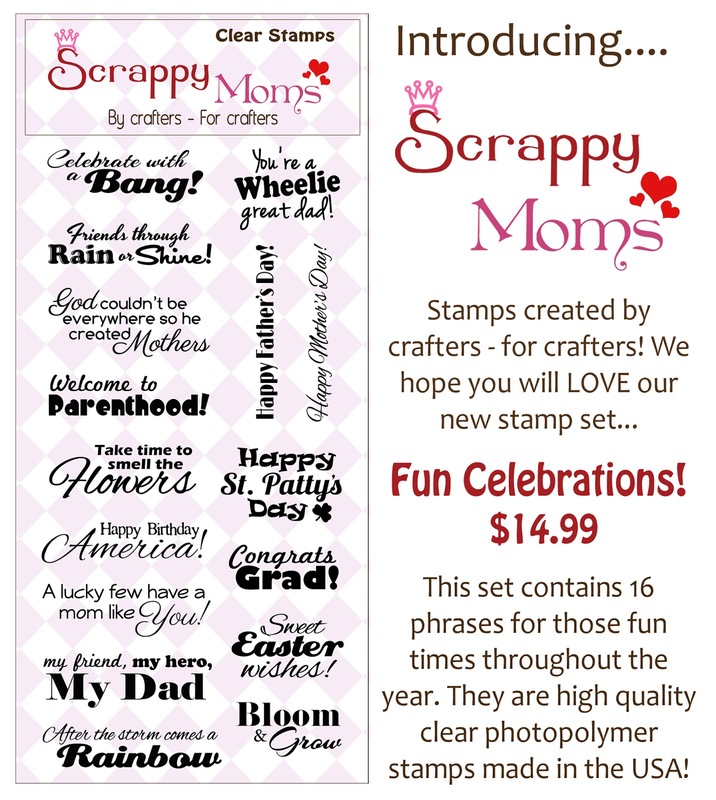 from our Kids Inc stamp set and "Happy Valentine's Day" from ﻿our Love Notes set. 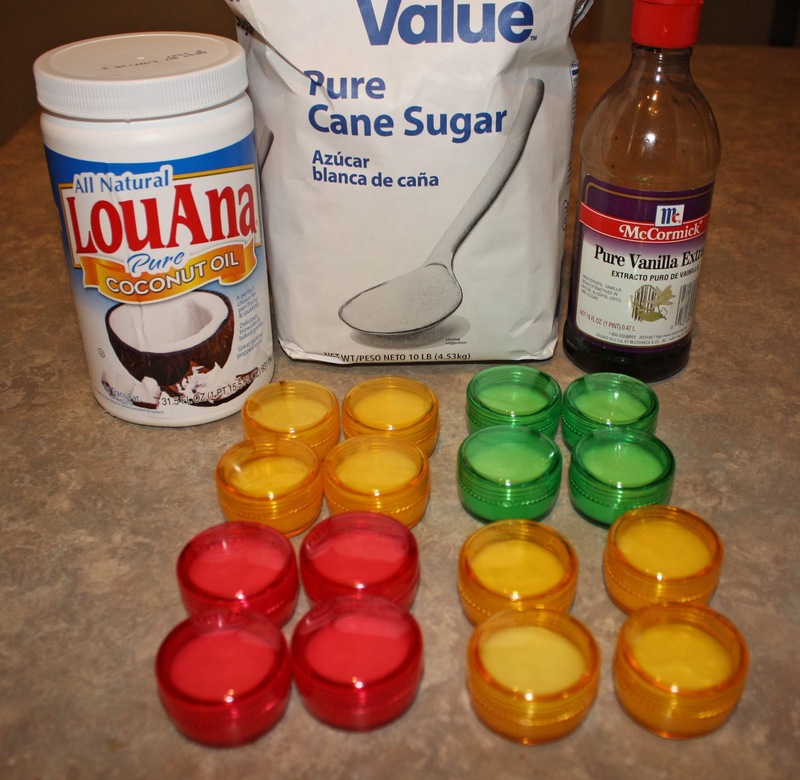 Then I used a glue dot to adhere the little bubble bottle down. They are actually wedding bubbles, I'm not sure if I like the ribbon or not but it's the last step so I will figure it out. 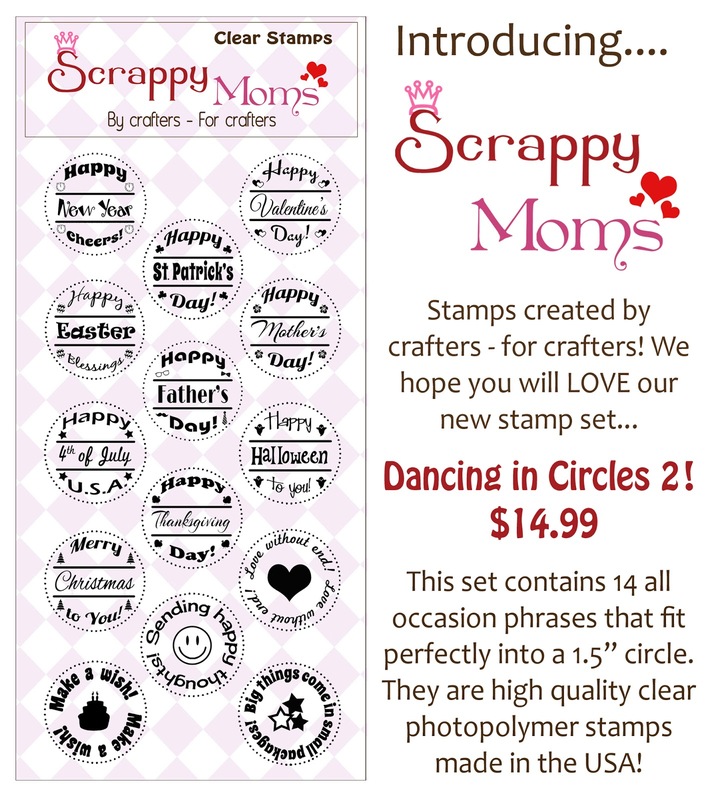 Come join us and link up your Valentine's Day TTC project for a chance to win a Scrappy Moms Stamps stamps set of your choice.